Finally summer has arrived and as always, us Brits want to get outside and fire up the barbecue. You would think that throwing a few sausages and burgers on a fire was a simple thing to do, but you’d be amazed at easy it is to mess it up. With this in mind, we’ve come up with some suggestions on hosting a great barbecue this summer. 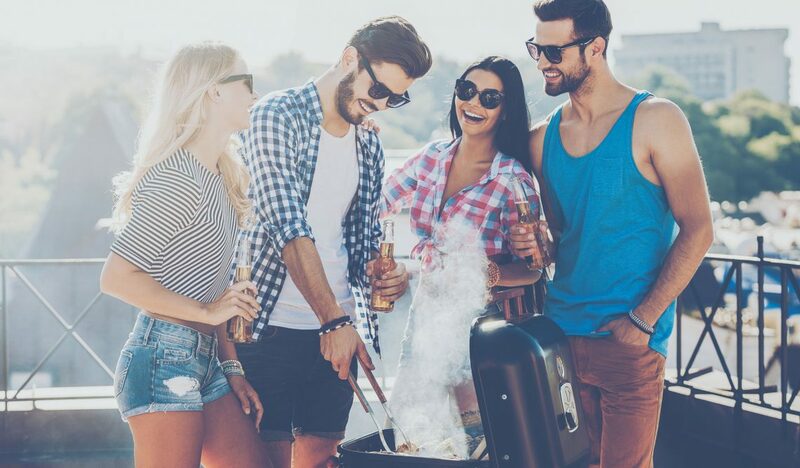 If you haven’t yet bought your barbecue then think carefully about whether you want to purchase a gas or coal-fired one. They both have pros and cons but usually one will fit into your lifestyle a little better. 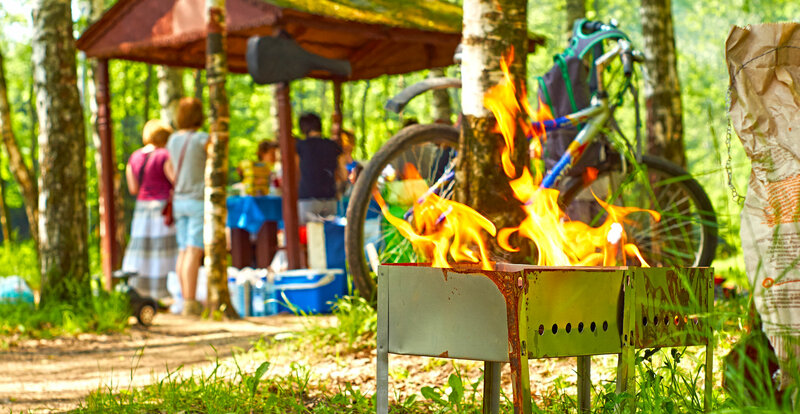 Gas barbecues are undoubtedly easier and quicker to fire up. 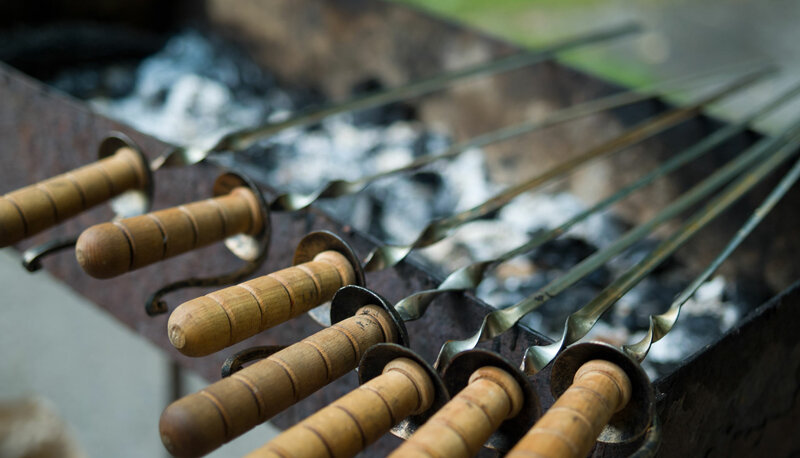 They are more reliable than coals and cook the food evenly as they provide a constant temperature. However, don’t forget that you will have to change the gas bottle at times which might prove to be a chore for single parents. Coals give a true barbecue flavour and there’s nothing like the smell of meat charring over hot coals. There’s no cumbersome gas bottle to attach, just chuck in a bag of bricks and light them up. You do have to wait around half an hour for the coals to be ready however. Decide whether you are going to serve standard fare, such as burgers and sausages, or something a little fancier, like marinated meats and kebabs. As with all gatherings that involve food, preparation is key. So make sure salads have been mixed, and dips and breads are laid out ready for your guests. It is best to marinade meats overnight and score the flesh to make sure the sauce gets right inside. If children are invited then feed them first. Pop on some good quality burgers and/or sausages and cook them before you even think about cooking anything for the adults. Adults can wait but kids will act up if they are hungry. Give them buns and sauce and leave them to eat in peace. It’s good to have a system when you have raw meat and cooked meat close together, so keep all uncooked food to one side and once it is cooked place it on the another side. Use one set of tools and cutlery for handling raw meats and another for cooked foods to avoid cross-contamination, and if you do have vegetarians coming always cook their food first. If you have done your preparation the hosting is simple right? Well, single parents might struggle to control both the barbecue and the children at the same time. So if there is just one of you try and make sure you delegate the cooking of the food to one person. Men love this sort of thing so it shouldn’t be too hard to find a willing guy who wants to stand around turning meats over the flames for a little while. Then you can get on with everything else. It’s also a good idea to have a few nibbles like crisps and nuts to go around to stop people feeling hungry whilst the food is cooking. As for drinks, load up an ice box with beers or fizzy drinks or fill up a huge punch bowl, this is so you won’t be asked every two seconds for a top up. Paper plates work well for simple food like burgers and sausages in rolls, but for steaks and chops that require cutting it is better to use crockery. And make sure you have plenty of black bin liners for the clean-up later.